After the huge success of last year’s ‘Love your Lakes’ photo competition South West Lakes Trust and South West Water have decided to hold it again this year. The competition, now in its sixth year, aims to encourage people of all ages to make the most of the fantastic photo opportunities at their lakes across Devon, Cornwall and West Somerset. The lakes of the South West are popular among amateur and professional photographers alike and the opportunities are endless. Photos must be taken at one of South West Lakes Trust’s lakes. A fantastic prize of a £250 will be awarded to the overall winning photograph, with £100 for each individual category winner. Runner-up prizes will also be up for grabs and a special prize will be awarded to the photo which receives the most public votes. The ‘Love your Lakes’ photo competition is free to enter and will be judged by Andy Parsons, Chief Executive of South West Lakes Trust, Alan Hyde, South West Water’s Head of Community Relations, and last but at no means least renowned professional news and sport photographer Richard Austin. Richard has been working at the top end of the newspaper and magazine industry for more than a quarter of a century. His photographs are used all over the world in newspapers and magazines, and as a modern day media photographer Richard has the ability to adapt his photographic work not only to news and sport but also in the expanding business world of Public Relations and Web Site photography. This year they are being supported by Taunton Leisure who are donating prizes for the winning entries in each category. Also all photographs and films will be exhibited over the Easter holiday at the National Trust’s Fyne Court Music Room. There are four categories you can enter your masterpieces into, two extra ones for this year! A maximum of three entries per person per category is allowed, and if you want to enter an image in more than one category you can. The deadline for submissions is 5pm on 23 February 2018. See the Quantock Hills AONB website for full rules and details on how to enter. By submitting an entry to the competition you are giving permission for the Quantock Hills AONB Service and the Duke of Edinburgh Award to use your photo or film in their marketing material, displays, leaflets, magazine and newspaper articles (produced by third parties) cards, calendars and other forms of publicity at their discretion. Your photo or film will be credited to you. PHOTO: Frank Clatworthy’s previous winning entry. The deadline for submissions is 5pm on 23rd February 2018. By submitting an entry to the competition you are giving permission for the Quantock Hills AONB Service and the Duke of Edinburgh Award to use your photo or film in their marketing material, displays, leaflets, magazine and newspaper articles (produced by third parties) cards, calendars and other forms of publicity at our discretion. Your photo or film will be credited to you. 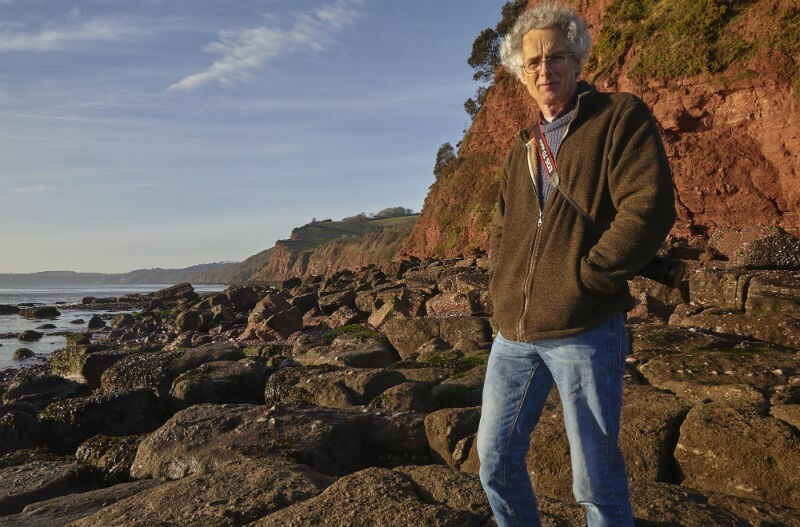 A fellow of the British Institute of Professional Photography who shoots all over the world for National Geographic, Nigel Hicks, has been announced as the official judge for this year’s South West Coast Path photo competition. Based in South Devon, his latest project is much closer to home, having recently published a stunning collection of work from the region in ‘Wild Southwest’. Nigel says of the Coast Path: “The huge amount of work I’ve done overseas has taught me just how valuable our South West Coast Path is. I can’t count the number of times I’ve been prevented from accessing coastlines overseas by closed private property, my reaction to which usually varies somewhere between bewilderment and righteous indignation. By contrast, the Coast Path embodies a deeply held democratic principle that everyone, no matter how rich or poor, how famous or obscure, can wander at will along almost every piece of our coast. Not only is the coast itself priceless but so is this principle. “As far as I’m concerned, the Coast Path is one of the world’s great hiking trails, not just one of the UK’s. Though some sections offer gentle walks, much of the terrain is surprisingly rugged and challenging even for a seasoned hiker, and along practically every yard of its 630-mile trail, dramatic and incredibly beautiful vistas continually unfold. This is one of Britain’s wildest natural frontiers, quite a surprise to many people on such a crowded island. The South West Coast Path’s annual photo competition closes on 1 December 2017 and is open to budding photographers of all ages and abilities; prizes include a £250 voucher to spend at Cotswold Outdoor for the overall winner and a place on any of Nigel Hicks’ one-day photography workshops in the South West, plus a signed copy of his book. All calendar winning entries will receive membership of the South West Coast Path Association, a Cicerone guidebook, as well as the chance to grace the official 2018 Coast Path calendar. Exmoor offers some of England’s most dramatic and stunning coastline, so it’s no wonder that everyone wants to get the best possible photos of the landscapes and seascapes. Of course, great photography on Exmoor’s coast follows essentially the same golden photography rules as anywhere else, but there are a few issues specific to this coastline. Paramount among these is the fact that the great majority of Exmoor’s coast faces north, and so for much of the year the cliffs have no sunshine directly on them. Generally speaking, shoot early in the morning or late in the afternoon/evening, times when the sun is low, giving good shadows and bathing the landscape in a golden light. That said, in mid-winter there’s no need to stick rigidly with this rule as you’ll get this kind of light all day long (if there’s any sunlight at all!). When photographing coastal cliffs try to choose those sections that face east or west (rather than north-facing cliffs) and which, as a result, receive sunlight at least for a few hours of the day. If you’re shooting a west-facing cliff, photograph it in the afternoon/evening. Photograph in the morning if you’re looking at an east-facing cliff. Keep your compositions simple and containing a single strong subject that dominates (but doesn’t necessarily fill) the image frame. Most people try to cram too many elements into their photos, with the result that they look cluttered and lack any impact. Shoot those scenes that contain a strong subject, make that the main subject of your image frame and then try to compose it in such a way that the rest of the frame is free of clutter and distractions. Easier said than done, but this is the crux of great photography. When photographing a view in which you have to have some foreground visible, make sure it’s an interesting foreground; not just dull, rough grassland or tangled brown brambles or bracken, which will distract from the final photo. Select your viewpoint carefully so that your foreground contains something interesting, such as an angular rock that points towards your subject further into the frame, or a meandering stream or track, again ‘leading the way’ towards your subject. If photographing at dawn, dusk or on a very dull day when light levels are low, put the camera on a tripod, and let the camera use a long exposure. It is very hard to hold a camera still enough to get a sharp, high-quality image in these conditions, so don’t even bother trying! Sticking to these golden rules will help you generate some great photos of Exmoor’s coast, so this coming autumn and winter get out there with the camera and get shooting! To see some of Nigel’s work, pick up a copy of Wild Southwest, his latest book about the landscapes and wildlife of South West England. It is available through all good bookshops and online at both Amazon and at www.aquaterrapublishing.co.uk.